Fred is the only one with any energy and has been having fun creating stories and books. This one contains some of his favourite songs! 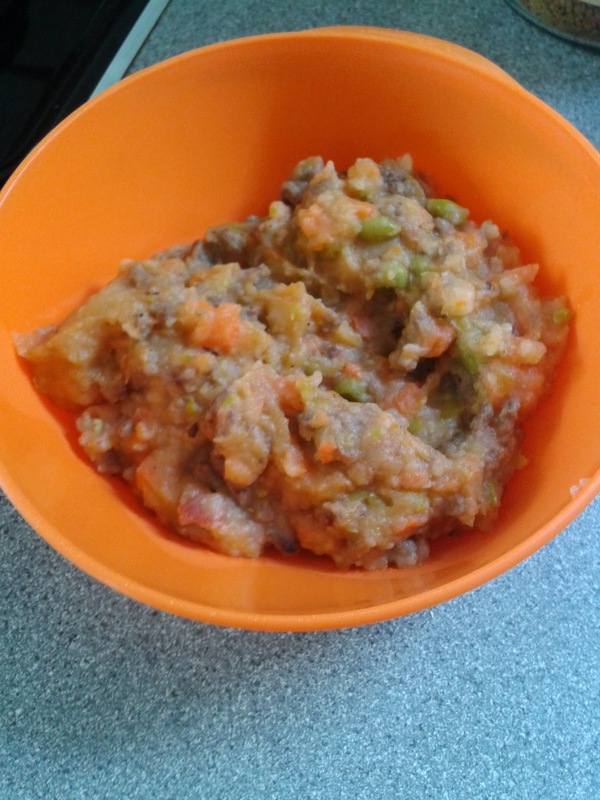 The smaller one has been enjoying a return to my real 'baby food' - mince, potatoes, carrot and pea mash up - a little comfort. But probably not as tasty as eating her Great Nan's homemade jam! By midday they were completely zonked and the majority of the day was spent on the sofa. They will bounce back soon enough, in the meantime, shake your bum shakl laka bum! Awww those poor kiddies. Hope they get better soon. Is it a good thing that you don't have to drag them out on the school run twice a day? From experience we had max of 2 days of no energy and then they were fine, just itchy! Hope they are both better soon. Oh no! I hope they get better soon! OMG, that first pic made me LOL! Hope #s 2 and 3 feel better soon! Chicken pox is no fun at all. I remember being so tired from being so itchy. Lots of calamine lotion was the only thing that helped at all. Good luck with it! Oh poor babies. It is great to get it over with though. The younger the better. Aw, poor little doodles! :( Hope they get better soon! Poor babies... :-(. Hope they feel better soon. Poor dears! I remember feeling miserable when I had chicken pox as a kid. Most if my time was spent sitting on a blanket in my underwear watching TV while my mom kept me covered in calamine lotion. I hope they all feel better soon? poor spotty babies! Better to get it over with though - I caught it from my daughter when I was 28. Not fun! Oh poorly poorly girls!! Look after your chicks Lucy and hoping they feel a lot better soon. Awww, poor things. Chicken pox is not fun! My boys had it when they were really little which I am thankful for. Owen had it first, and had it pretty mild, then Levi had it 2 weeks later and he got it soooo bad, new pox every morning when he got up and it just made me so sad! Not to mention we were housebound for what felt like forever since they didn't have it at exactly the same time. Bleh. Hope they feel better soon! Poor things :( hope they get over it soon...once the energy returns it was being housebound that drove us cray! Joan seems so poorly... Hope they are all ok! Oh poor kids and poor you! Joan looks like she got really ill as well as uncomfortable. Is chicken pox not on the vaccine list in the UK? It is in Australia. It wasn't when my eldest was little, but I paid the $60 for it because I knew I could not have the two weeks off to look after her if she did catch it. I also remember having it myself and it was horrible.